The ROY pendant features a decorative two-tone finish in matte black and brushed nickel. This contemporary piece features an open box design with exposed light bulbs. This unique look speaks to the style of the homeowner. Ideal for the foyer, entrance ways, stairways, dining and living room. Pair it with Canarm's vintage bulbs (article # 819488 for the perfect look. Available in store and online! 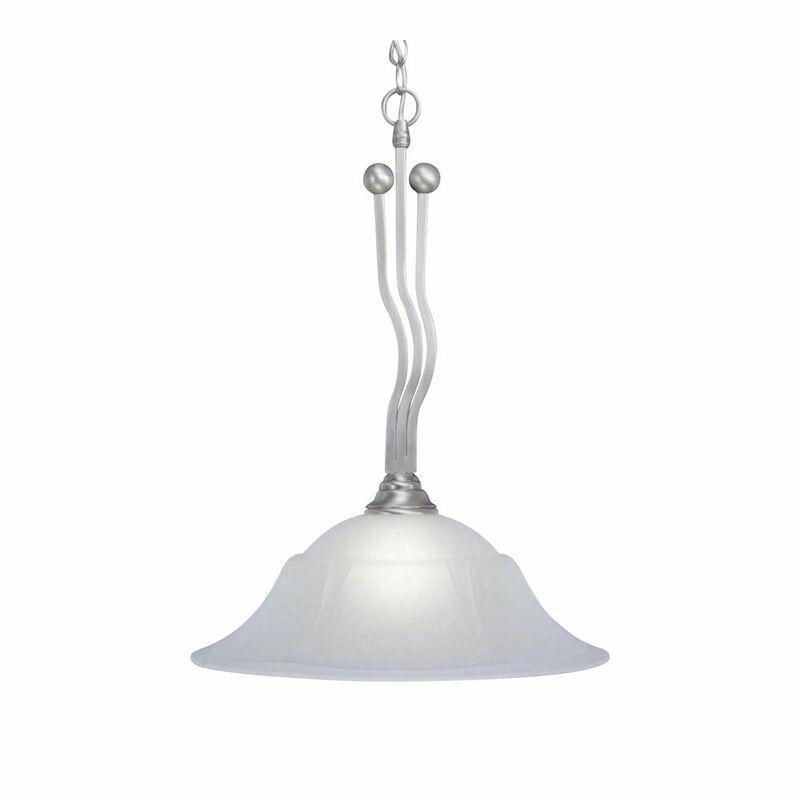 Concord 1-Light Ceiling Brushed Nickel Pendant with a Dew Drop Glass The cornerstone of the concord Collection is quality, and this pendant is no exception. Combining a classic brushed nickel finish and posh styling, you will find no better way to highlight the charm of your home. With the superb craftsmanship and affordable price this fixture is sure to tastefully indulge your extravagant side.